It’s a light, funny, quirky, romantic comedy. 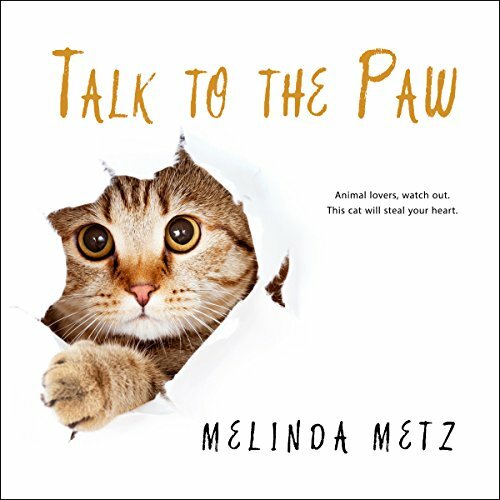 1/3 of the book is from the cat’s perspective and I think that Melinda Metz nailed it! I highly recommend it. Fun love story. This sneaky cat plays matchmaker to not only the main characters but connects several people throughout the neighborhood. Enjoyable light read. MacGyver is a wily cat who has moved with his human to LA where they live in a small enclave called Sorybook Court (where all the dwellings resemble places out of fairytales, and even the street names match the theme. Jamie, a high school teacher, is using the inheritance she received from her mother’s passing to spend a year looking for something that will make her happy. Throughout the book she takes pictures and interviews people who are happy in their jobs, from a guy at the pier who gives bad advice for a dollar, to a character impersonator working the street near Graumann’s Chinese Theater. Mac decides that the best way to get these two together is to bring items of clothing from one to the other. Surely they will be able to smell the lonliness too. Surely they will be able to find one another. Unfortunately he finds they are a little slow on the uptake. But while he’s out and about, he decides to help others. Eventually Jamie and David meet. They become friends and decide to “fake” date. This will keep David’s friends off his back about dating, and Jamie can deflect her nosy landlady and her friend from trying to set her up. As the friendship develops, both have personal issues to deal with to clear the way to deeper feelings. This is a cute story. It alternates points of view among characters, mostly MacGyver, Jamie, and David. The plots on which the romance hangs - Jamie’s search for a meaningful occupation and David’s working through his grief and guilt - are well developed and interesting. The characters are nicely fleshed out, and even the secondaries are realistic and essential to the plot. I did find one character - a washed up actor still wearing the persona of his one big role - irritating enough that the book came close to being a DNF. He was just too over the top, and not once did anyone tell him to get a grip when he decided he would decide who was stealing stuff in Storybook Court. He is sure Jamie is the guilty party. The narration was nice. Ms Arsenault does a good job differentiating characters. Overall, this is a fun listen. It was a fun story; but made so much better by the great performance of Ms. Arsenault. I really enjoyed her cadence and inflections. Really well read.